Thanks to the meticulous research by Alistair Hendry, the history of the kirk has been traced back to the 12th century. Loudoun kirk, dedicated to St Michael, was established at the end of the 12th century, The lands on which it was built, and which became Loudoun parish, had been given by Richard de Morville, King William the Lion’s High Steward, to James, son of Lambinus, before 1189. At or soon after its foundation, the revenues of Loudoun Kirk, were allocated to support the monks of the newly founded Kilwinning Abbey, and in return they were obliged to provide a priest (curate) to attend the spiritual needs of the parishioners. In January 1491, James IV created for George Campbell of Loudoun the free burgh or barony of Newmilns. The castle was built there - and gradually, as more and more people moved to the new burgh, it became the main centre of population in the parish. During the bitter Campbell/Kennedy feuds of 1527-8, Loudoun Kirk was badly damaged, but rebuilt. Soon afterwards, in 1530, a chapel was built at Newmilns in recognition of the shift in population. 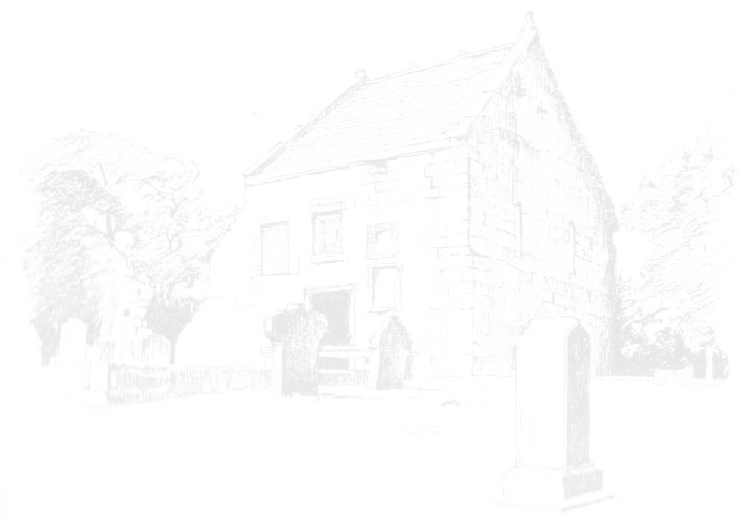 Loudoun Kirk remained the parish church until at least the 17th century, when the chapel in Newmilns was upgraded to parochial status. Thereafter Loudoun Kirk and its kirkyard continued in use for occasional church services, but more particularly as the last resting place of generations of the parishioners of Loudoun.